The last two parts of this series focused on gathering information about our Exchange 2007 infrastructure before moving on to begin collating client information using statistics from Exchange itself. In this part of the series we'll complete collecting information about current Exchange clients using free tools available and collect data about our third-party software. For discovery, and ensuring remediation of Outlook Clients that simply require patching we can use Windows Server Update Services. In this article we won't cover setup and installation, but suffice to say you will need to install WSUS and ensure that clients report into it, typically accomplished via the use of Group Policies. 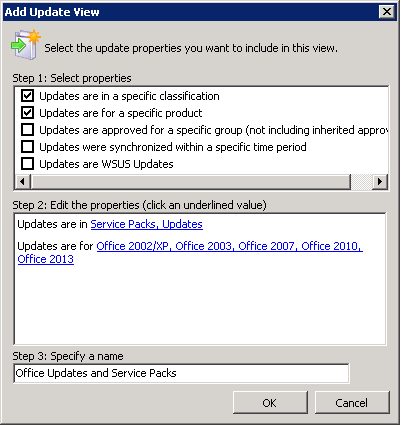 If you don't currently download patches for the Office suite you will need to ensure these are enabled which can be accomplished from within the Update Services management console by selecting the Office products and categories including Service Packs and Updates within Options>Products and Classifications. 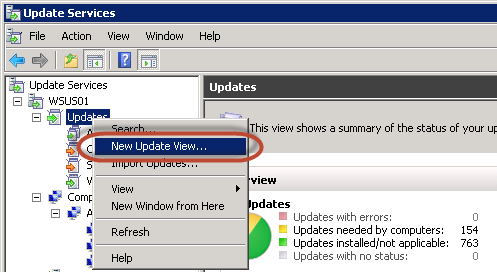 After creation of the view you should see the installation status of required updates, and as highlighted below, you'll have the ability to view the list of computers that require the update. Outlook - covering off any external, non domain-joined and seldom used clients using Outlook 2007 or above. Outlook 2011 and Entourage 2008 Web Services Edition and Mail Mail. Older WebDAV clients such as Entourage 2004 and non Web Services editions of Entourage 2008. ActiveSync clients from all vendors. LogParser is one option for collecting this data, but for our organization we'll use a script I've prepared earlier specifically written to collect data for Exchange 2007 upgrades, which can be downloaded from my website. 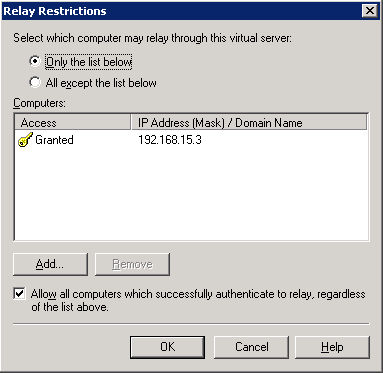 By default IMAP and POP3 logging are not enabled within Exchange 2007. If you have enabled IMAP or POP3 and want to discover those clients, you'll need to enable Protocol Logging in advance. Also, make a note of the LogPath value, as we'll need this later when we analyse the log files generated. 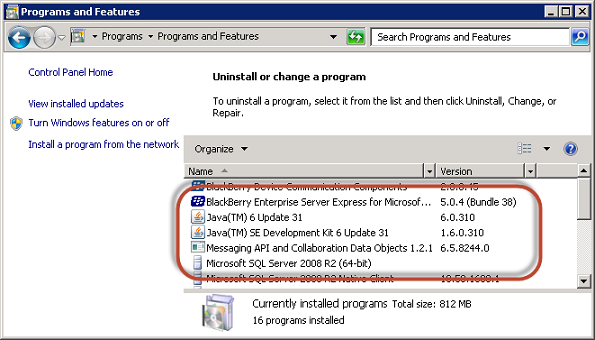 By default these will be under the Exchange install directory within Logging\Imap4 and Logging\Pop3. Then, we'll export the information using a similar command for both POP and IMAP. Look in each log file for a line containing "legacyID". When it matches "legacyID" it splits the line up to find what is usually the user's alias and creates a line to output. Before appending to the file created above, the lines to output are checked to ensure they are unique. We'll record that data alongside other information, but we don't need to perform deeper analysis into each IMAP and POP3 client as they should be unaffected during the transition. 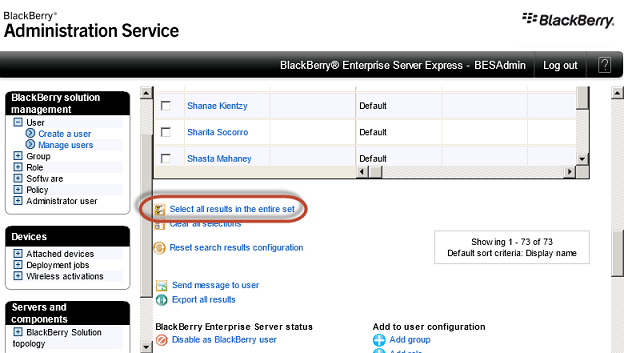 We need to collect two key pieces of information about the Blackberry Enterprise Server - firstly the number of enabled users to feed into the sizing. Secondly we need to check the version of BES that is currently in use so we can ascertain if it requires an upgrade. 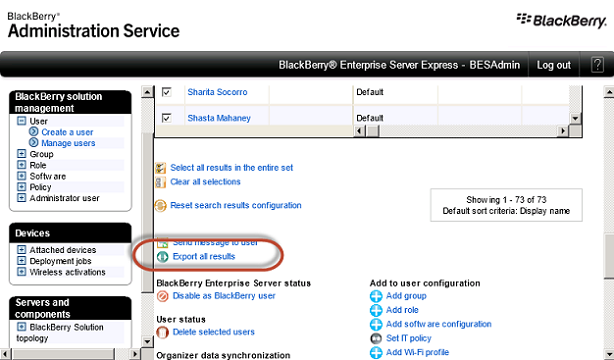 We see in the example above that only a small number of users are BES activated out of the 73 total enabled. In our example organization we do not meet the minimum requirements, therefore we know as well as updating Exchange settings for BES we will also need to upgrade BES and the MAPI CDO. Finally we will collect information about our MailEssentials gateway. 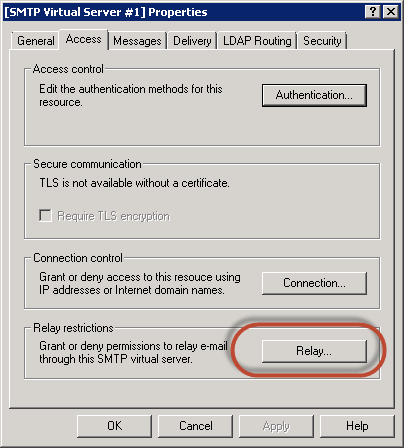 The product we're using interfaces with SMTP using the IIS SMTP Service, therefore we can use the IIS Management Console to examine accepted domains and relay settings. The location of the settings for the product you use may vary, however the information that must be collected is approximately the same. We'll also use this change to validate the maximum size limits specified, by navigating back to the [SMTP Virtual Server #1] Properties window and choosing the Messages tab. Record the value listed in Limit message size to (KB) and ensure that it matches the maximum sizes specified in the Send and Receive connector configuration gathered in the previous part in this series. In this part of the series, we've completed the final steps required to perform an analysis of the current Exchange environment along with associated clients and third-party software. In the next part of this series we'll begin planning for deployment.